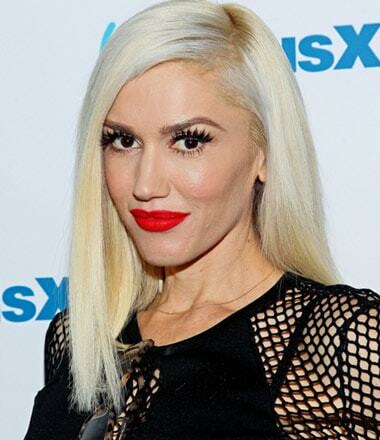 For a rock chic, Gwen Stefani never disappoints in the makeup department. Her trademark red lips have been with me for as long as I can remember. Those red hot lipsticks, gorgeous eyelashes, and soulful eyeshadows always gave a deeper meaning to every lyric she sang. Yes, I have always been a big fan of hers and that’s why sometimes I wonder what she really looks like without all the cosmetics. Check these out. They say that a woman is the sexiest the moment they get out of bed. Looking at this picture, I couldn’t agree more. 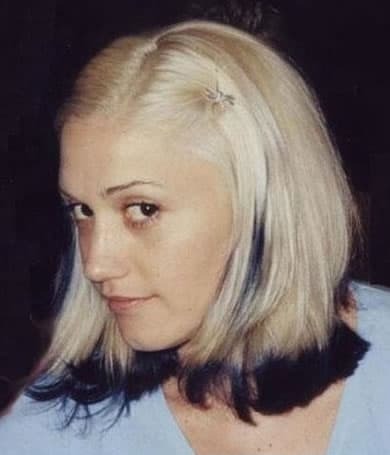 Not sure if this was a morning hike or a camping trip, but it’s obvious Gwen wasn’t wearing any makeups. Perhaps nature had a hand in it because her boyfriend couldn’t seem to resist her natural face that morning. Gwen appears to have spotted something that bothered her a little. Could it be the paparazzi? After all, she isn’t exactly photo-ready. 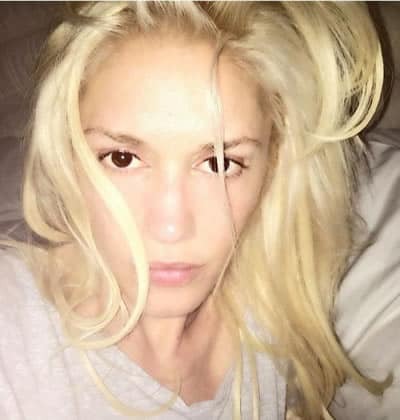 The good thing about being young is you can get away with almost anything, even without makeup. People would still call you a beauty, a natural one that is. Who needs SPF foundation when you can just wear a Shady Ltd cap by Eminem? They both look great and protects your face from the sun. Stefani was spotted having a jog around the neighborhood. So if you have been wondering how she gets that great body. She really does work out a lot. These are also the best times to find her makeup-free. Lit and sweat just don’t mix. 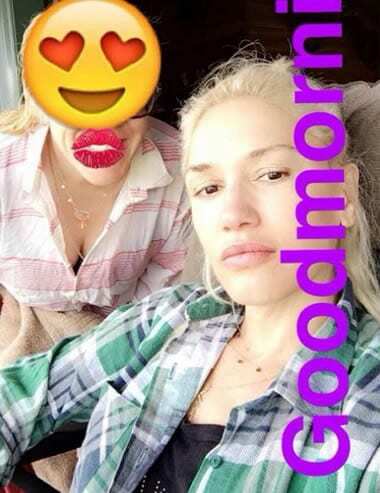 Gwen had one of those snap moments when she posted this bare face picture online with an emoji-ed friend. Going the au natural route, the singer looked near flawless in a cozy plaid with her hair pulled back. The internet went wild back in 2015 when Stefani posted this #nomakeup photo of her wearing a black rimmed glass with a mystery hat. 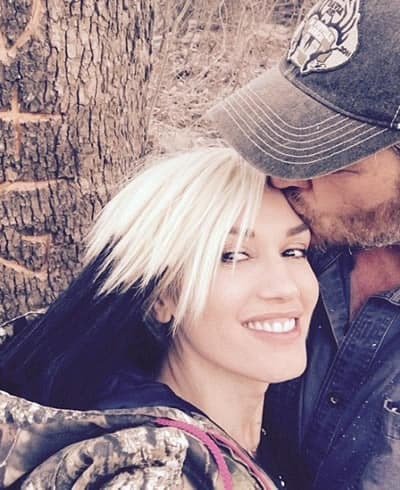 Apparently, this hunting cap belongs to her “then” new-boyfriend Blake Shelton. It was a windy day and her blonde hair was flying all over the place. 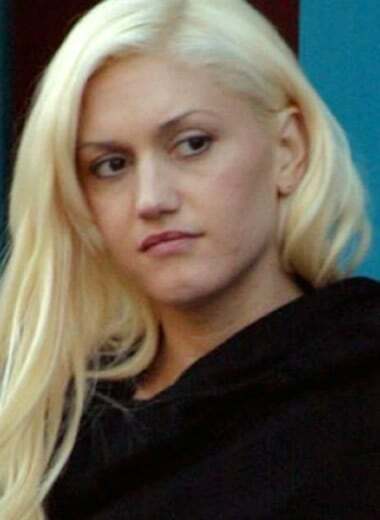 But the No Doubt singer didn’t seem to care as she wasn’t in the mood for any touch-up. I’m not 100% whether she had eyeliners though. Gwen Stefani looked like the female version of Sherlock Holmes as she rocked the street wearing this detective hat and large sunglasses that covered half of her face. 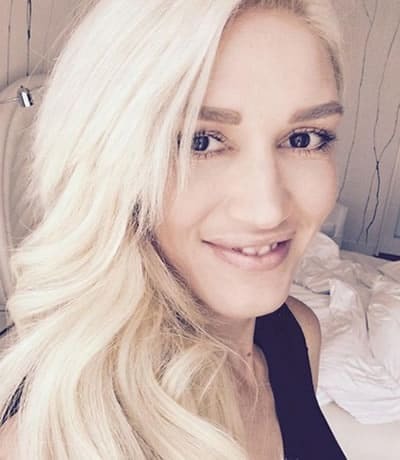 Her followers said she had no makeup on but I’m not totally convinced. Unless this pic was filtered otherwise her eyelashes look curled and her lips look glossed to me. And what’s with the thick eyebrows? Special effects? 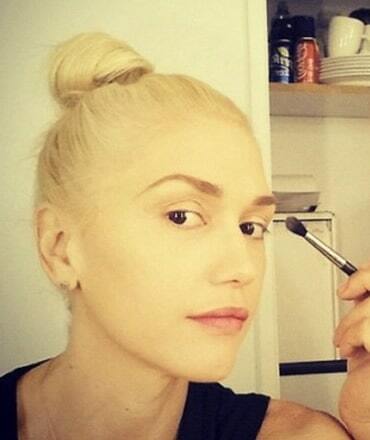 Here is Gwen staring at the mirror in her purest form. That’s because she’s about to brush some on. In case you didn’t know, she has her own Palette brand. As a reminder (and a bonus), here’s how she looks after an application. Makeup or not, she still looks absolutely gorgeous to me.